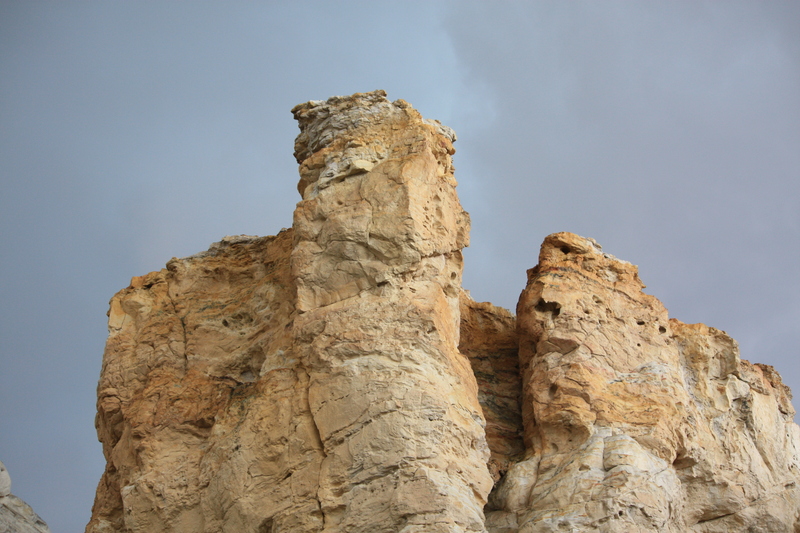 Art for the ages . . . .
Castle Gardens is located in central Wyoming and is named for the outcropping of sandstone that wind and water have eroded into shapes resembling the turrets and towers of castles. 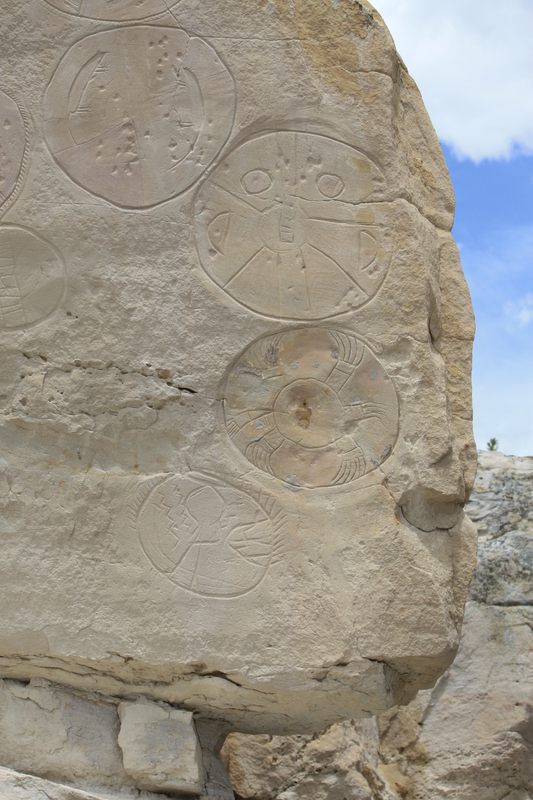 Many passersby have been drawn to the site for thousands of years, leaving their calling card in the form of rock art carved into the soft sandstone. 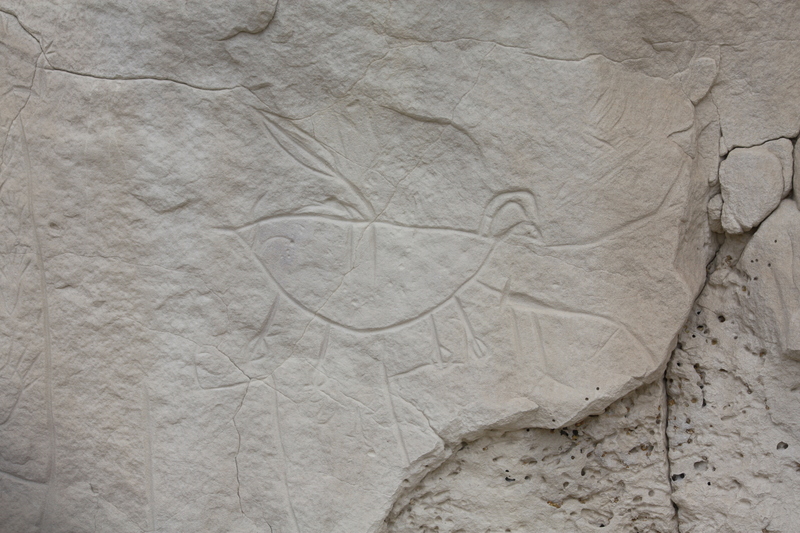 Above, the oldest recognizable example of the shield-bearing warrior combines several techniques unique in the Bighorn and Wind River Basins. Castles carved in sand . . . . Sadly, Castle Garden has suffered from vandalism and is now protected, although increased visitor traffic has impacted the site. 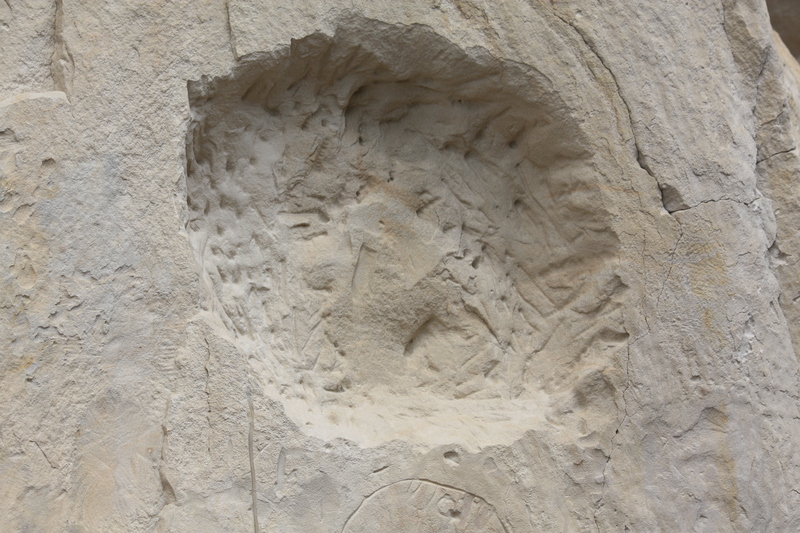 In 1940 vandals chiseled the Great Turtle shield out of the rock, but it was returned anonymously and donated to the Wyoming State Museum the following year. A turtle’s demise . . . .
Once figures/shapes were incised, figures were filled in with several layers of paint, including red, orange, yellow, black, white and green. 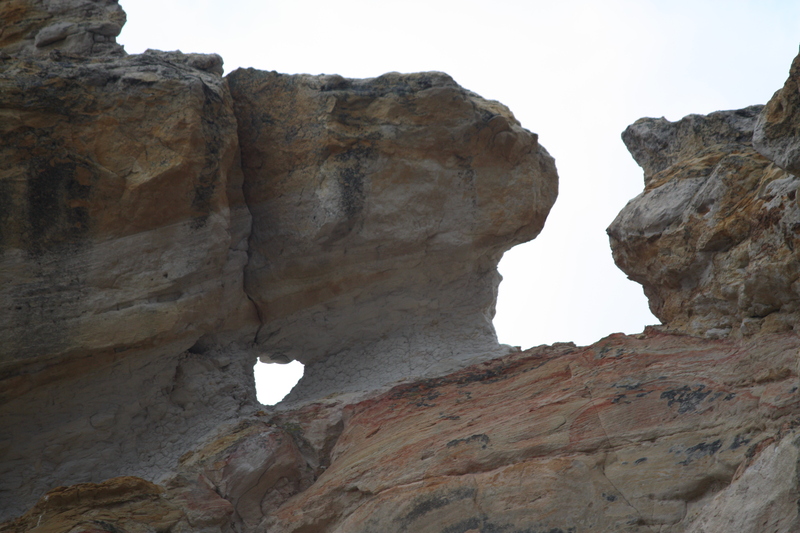 Polychrome painting and the use of green pigment are very rare in Wyoming and serve as distinguishing characteristics of the Castle Gardens shield style. The Great Turtle figure, housed at the Wyoming State Museum, exemplifies many of the hallmarks of this style. Blog from the past . . . . 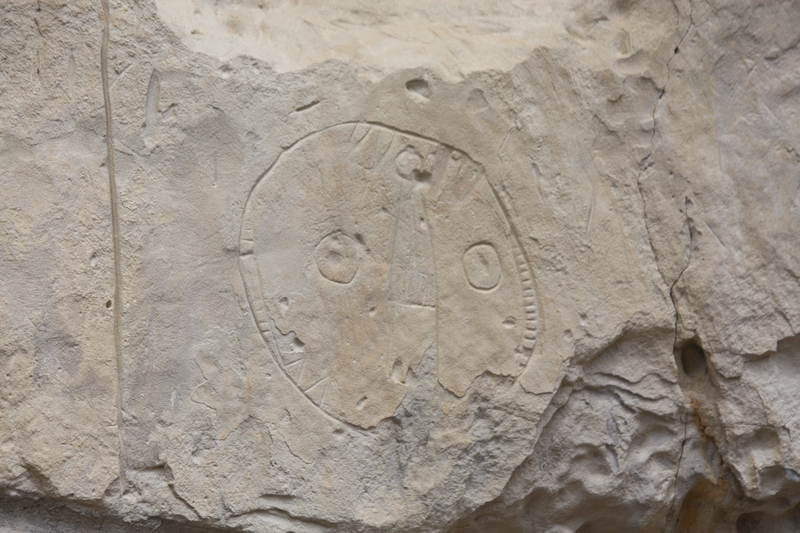 Figures of human forms, calendars, and various animals (elk, bison, antelope) are inscribed on the walls of the canyon. Horns, four legs, could be an antelope? . . . . Spectacular beauty juts up from the prairie . . . . The dark sky in the background is a warning that was not heeded soon enough. 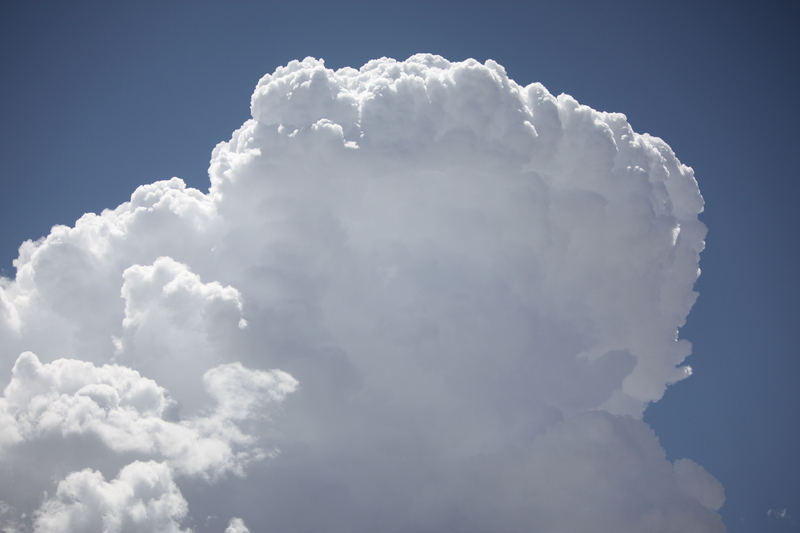 Rain in this high desert is rare and who would imagine what would unfold? 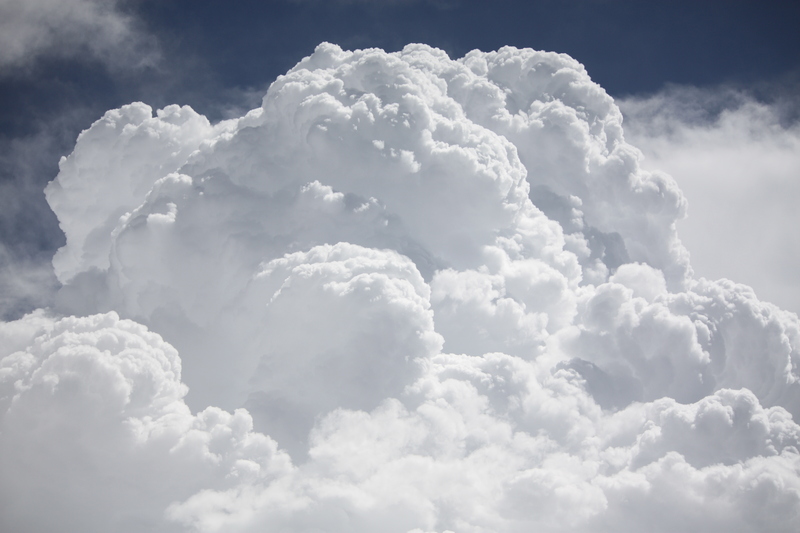 Thunderheads – the Gods must be stirring! . . . .
Nature’s fury about to unfold . . . . 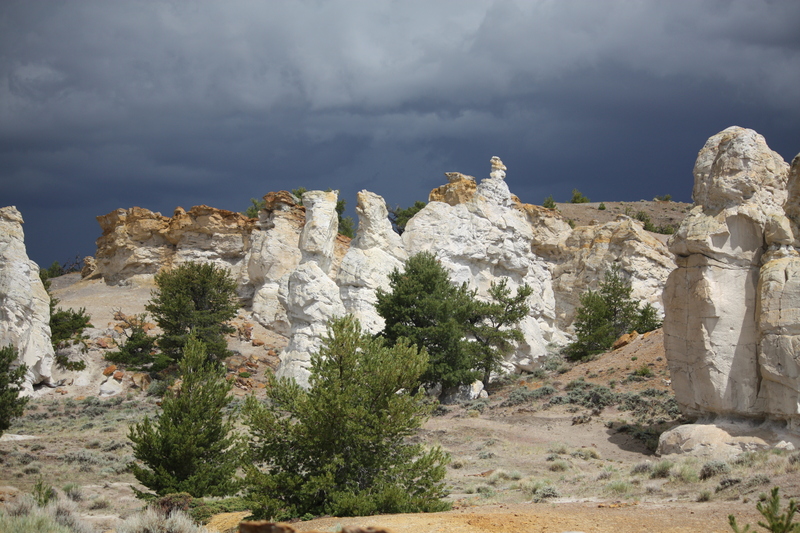 The cloud formations were so arresting I found myself photographing them rather than the pictographs we were viewing. Clearly, we were in for some weather and should have headed for shelter. These are not raindrops . . . . Fierce lightning, thunder, rain and hail caught us out on the trail. Trying to find a rock ledge for protection was a scramble and not particularly successful. The storm broke in two waves, with just enough reprise in between the downpour to lure us out on the trail to try to improve our position. It was folly, and there was no choice left but to run like hell for the car. 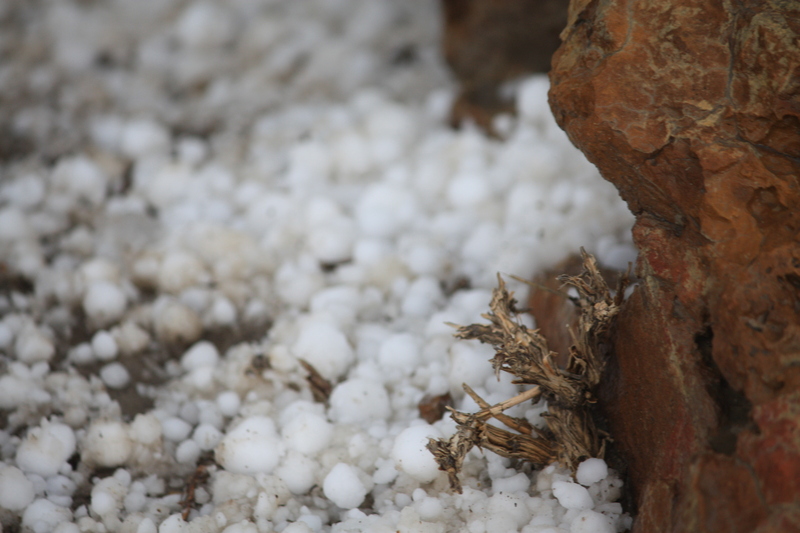 Hail stones bounced from our heads and backs, leaving welts behind. My camera and I were soaked. The Gods were obviously angry at our intrusion into this strange and wonderful place. This entry was posted in Wanderings by bygeorge. Bookmark the permalink.